Sewing thread winder, Winding machines - Taining Machine Industries Co., Ltd.
Taining Machine Industries Co., Ltd.
Taining Machine Industries Co., Ltd. was founded in 1968, and specializes in various winding machines including card winders, automatic mini thread winders, balling winders and automatic high speed cross cone winders. Our service is based on commitment, professionalism, innovation and quality. This kind of commitment pushes us constantly to research & develop new products so that we can maintain our leading edge in innovative manufacturing. 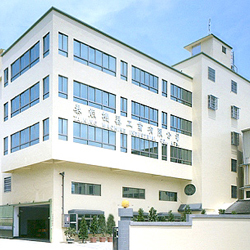 With a solid reputation that spans 38 years, Taining Machine Industries Co., Ltd. has manufactured more than 10,000 sets of various winding machines. We are confident that our promptness, quality manufacturing & customer service will meet your high standards no matter where you are.